Shoreline marshes mingle with spruce and alder to create an 'edge effect' essential to highly productive and diverse wetland systems. Bounded on the east side by a high ridge, Wild Ace Lake is part of a four-mile-long corridor of wetlands lying in the dune swales west and south of Warrenton. Waterfowl spend winters on the lake or pause to rest here during fall and spring migrations. Large, open sedge marshes along the shoreline mingle with Sitka spruce and alder trees to create an edge effect essential to highly productive and diverse wetland systems. 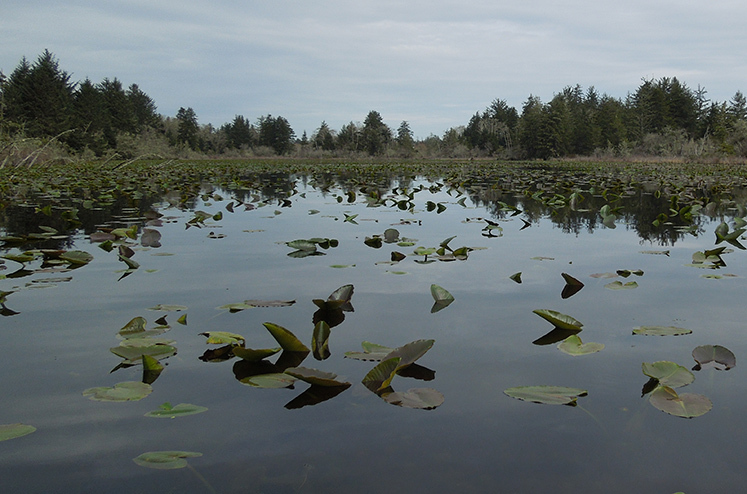 In 2003 Clatsop County identified Wild Lake Ace as one of ten high-functioning wetlands in need of protection, and the county began working with North Coast Land Conservancy to determine how these wetlands could be permanently conserved. Four of those properties—including Wild Ace Lake—were located next to lands already conserved by NCLC, which enhanced each property’s natural connectivity in the landscape. Working as a third party with Clatsop County and the U.S. Army Corps of Engineers, NCLC took ownership of Wild Ace Lake and the other three wetland properties adjacent to its conserved lands near Warrenton and Svensen and along the John Day River, ensuring protection of their natural values.